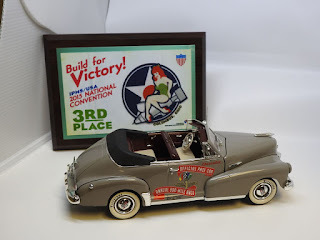 We'll be having our 39th Annual Show and Contest this Saturday at the Huntsville Jaycee's Center from 8:00 AM to 4:00 PM. So come on down! - We have vendor tables available. 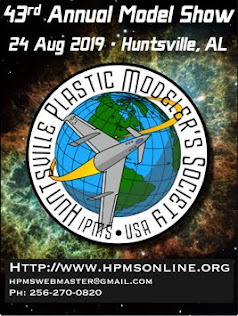 Contact us through this website's email (hpmswebmaster at gmail.com) or (256) 270-0820. - Our contest flyer is here. Meeting convened at 7:00 PM at The Deep with 15 members attending, club president Ed "Judge & Jury" Maslin presiding. Old business was consumed with the Contest. Tom Clark had completed his inventory of the contest supplies, and found that we need a roll of crepe paper for the category dividers, and a roll of table coverings. Tom did not have the entry forms. (Update: Dave Lanteigne had the entry forms, and we have 160 left. Tom Clark will order new forms through the printer after Labor Day). Tom Clark has received the insurance certificate from IPMS. Dave has the business license, and these will be provided to the Jaycees management before the contest. As of the meeting, we only had approximately 25 table reservations. Dave will be on travel for the next two weeks and Scott Jeffreys will take over table management. The club has very few or no raffle models on hand. The club voted to allocate $250 to procure models, John Wade will see about getting our money's worth online first. Setup for the contest will start at 1:00 PM on Friday, 25 September. 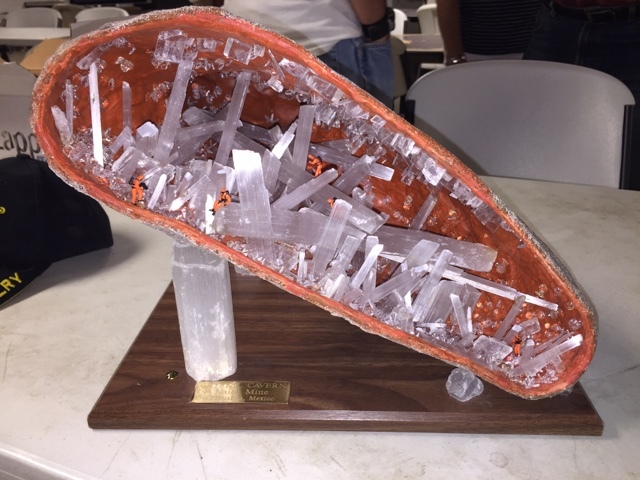 Ed "Improv" Kiker had his model of the Crystal Cave of Niaca, Mexico. 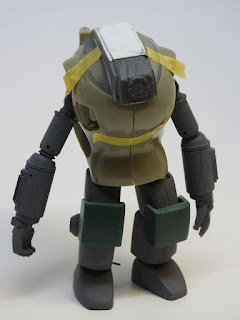 The outer shell is fiberglass formed over a master, and the outside sprayed with "granite" spray paint. 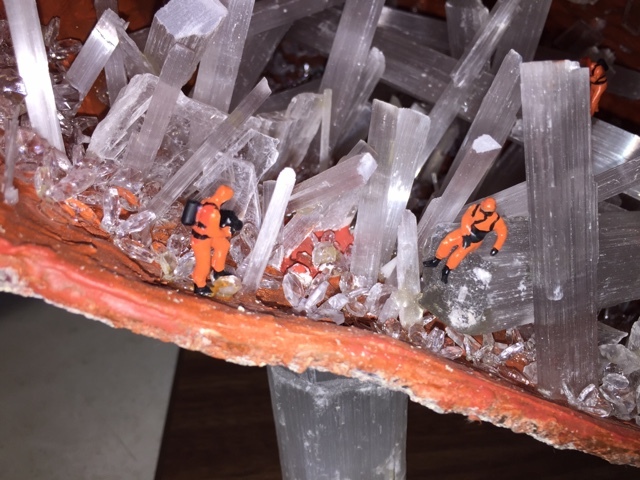 The large crysals are real gypsum crystals (the same material as the crystals in the real cave) and the smaller ones are plastic. The figures are modified Preiser Ground Crew figures, fitted with environment suits and breathing masks. 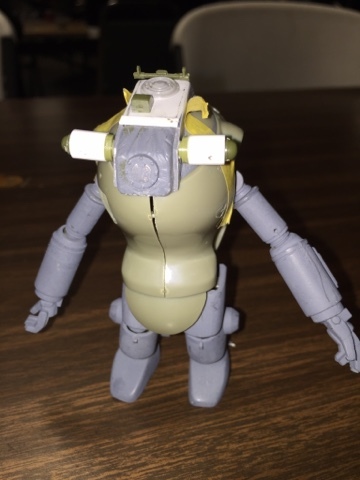 Tom "MaK" Clark had his current Maschinen Kreiger/SF3D kitbash, tentatively named the Minotaur. 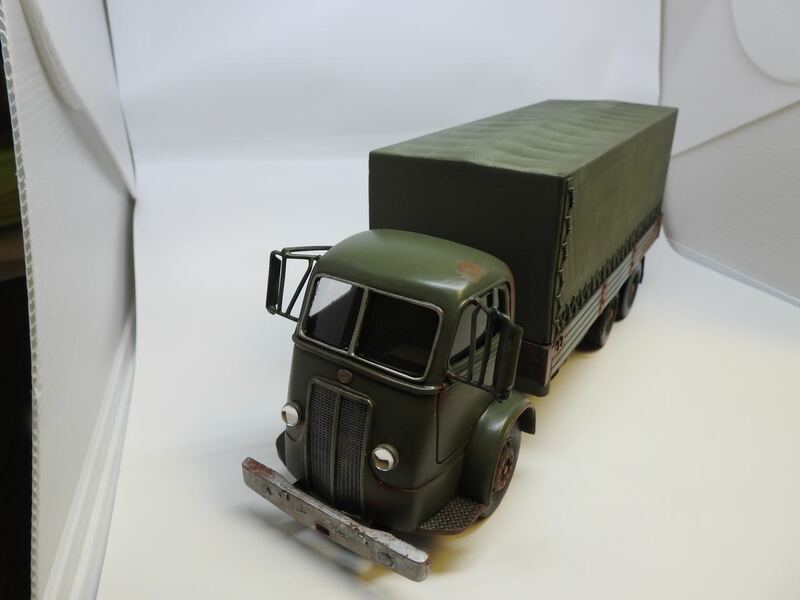 Andy "Truckstop" Brezinski had a pair of the new pickup kits from Moebius, representing late 1960- early 1970's Ford pickups (F-100 and Ranger). Between the two you can make just about every level of trim for a Ford pickup of the era. Eli "Antique" Geher had a model of the old Monogram UH-1C "Huey Hog" gunship he was building for the musuem. He condemned the kit with words its mother would not approve of. Pete Shreves had a pair of cars he had built to get back into the swing of things, and a Mach kit of the Amiot 340 he plans on building. 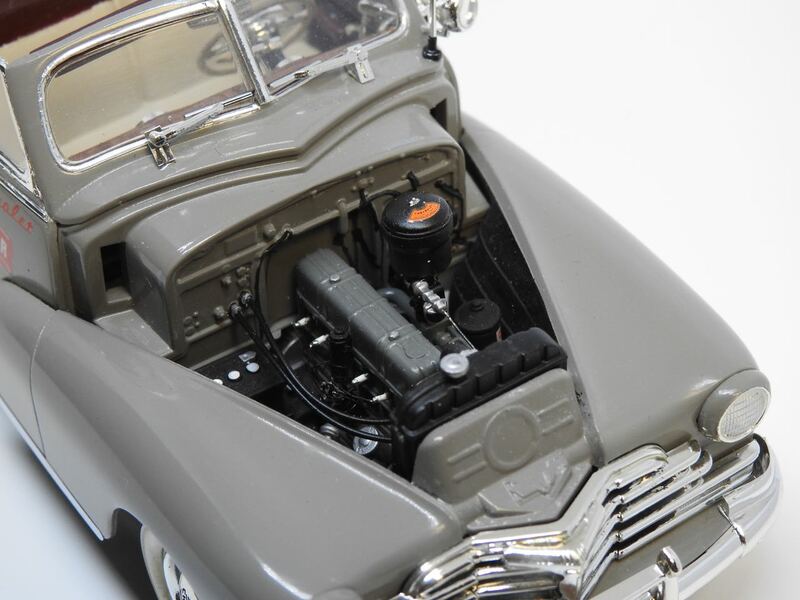 Scott Jeffreys contested the idea that any model could be built out of what comes in the Mach box. Any other show-and-tell reports were lost due to eequipment failure. The operator apologizes. 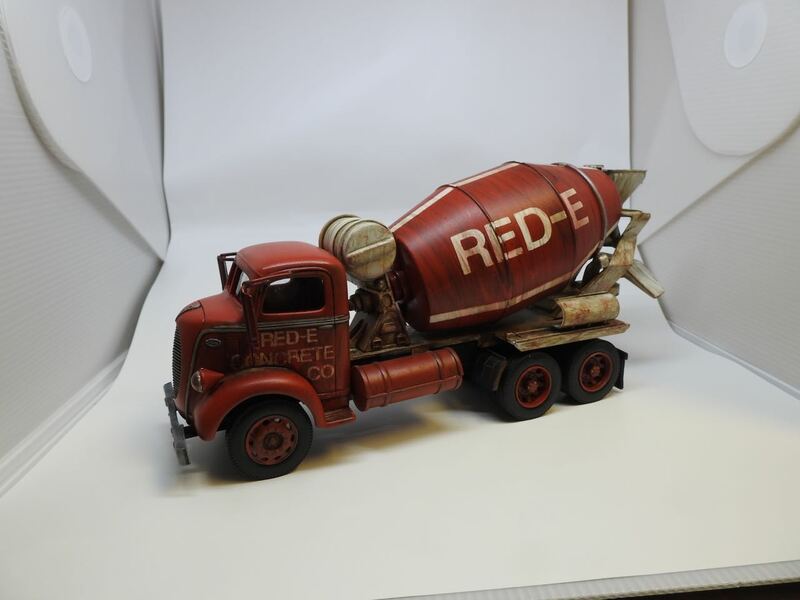 Tom Clark has finished the trophy artwork and will be sending it to NuImage for printing. The price will be the same as last year. Vendors: As of the meeting, 9 tables had been sold. Dave Lanteigne and Scott Jeffries will be handing off duties when Dave goes on a trip before the show. Tom will do inventory before next meeting, but he knows we need a new roll of table covering. Setup for the contest will begin at 1300 on Friday, 25 September. Andy Brezinski got a 3rd place for his Indy pace car. 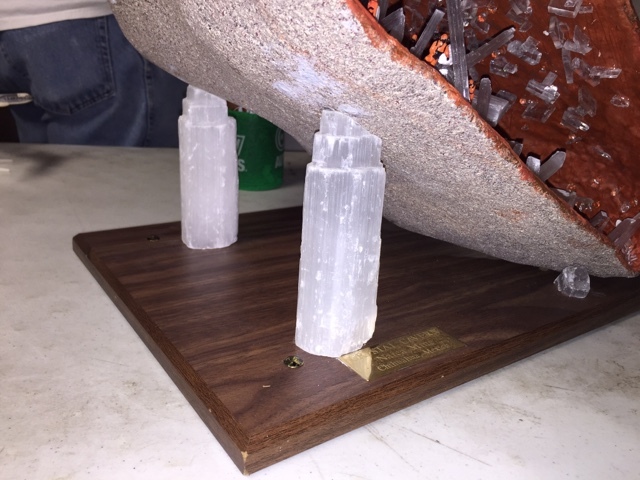 Dan Thompson got 3 awards for his models. 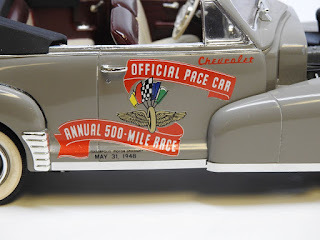 Andy - show winner: '48 Chevy Indy Pace Car, and decals for future truck models. His '56 DeSoto got photographed at the Nationals. We'll keep an eye out for it. 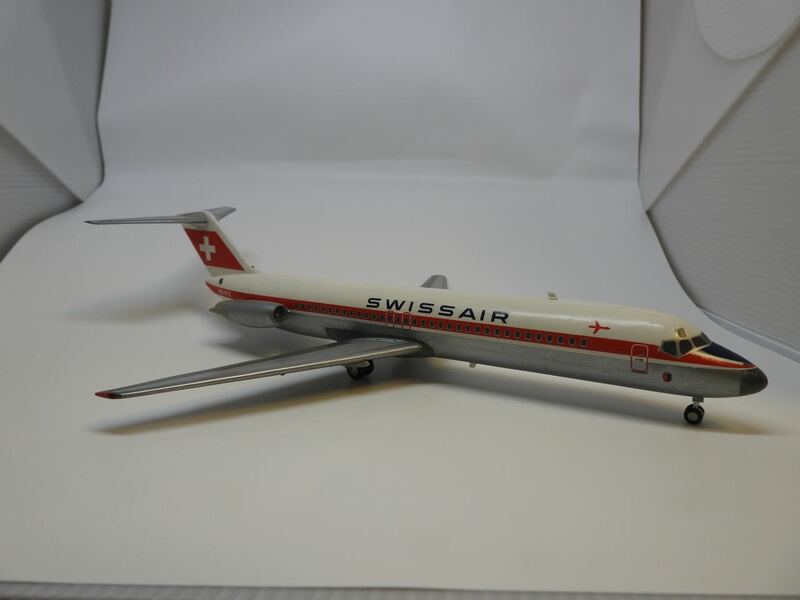 John Wade had an Anigrand 1/72 Boeing Clipper 314 resin kit with aftermarket engines, and a second mortgage on his house. Phil Cassibry had a Meteor F.8 with resin aftermarket intakes, with plans to do it in Korean War colors. Skip Hassler - Had LED lights he bought for his Optivisor: Because new tools are almost as good as models. 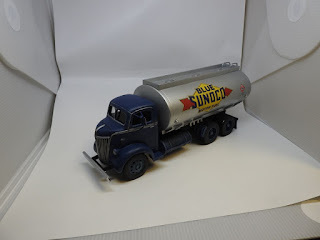 Tom Clark had an SF3D kit he's been working on, and photos of his father's gas station, circa 1948. Alfie - Brought in several resin trucks in railroad scale, which he had bodies for couldn't find frames to fit. He found metal models of a Renault and other makes in 1/32 that fit. The trucks will be going on a 60x120 ft layout. 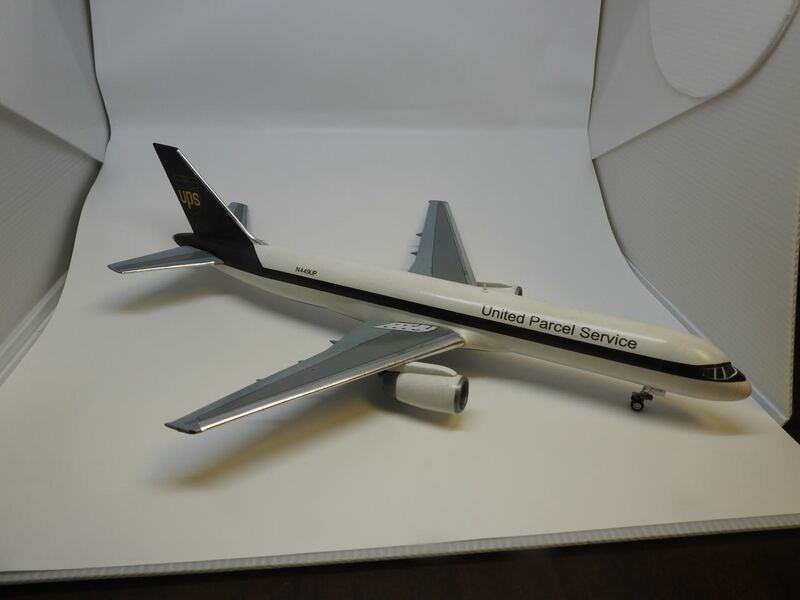 Eli Geher - Brought a UPS 757 and a Swissair DC-9 that had gone to the Nationals. The 757 Minicraft (UPS) had engine alignment problems. The DC-9 is a FlyModels kit with TwoSix decals. Ed Maslin had a Mercury diecast minus wheels and tires and a station wagon piggy bank that he may take undue liberties with.